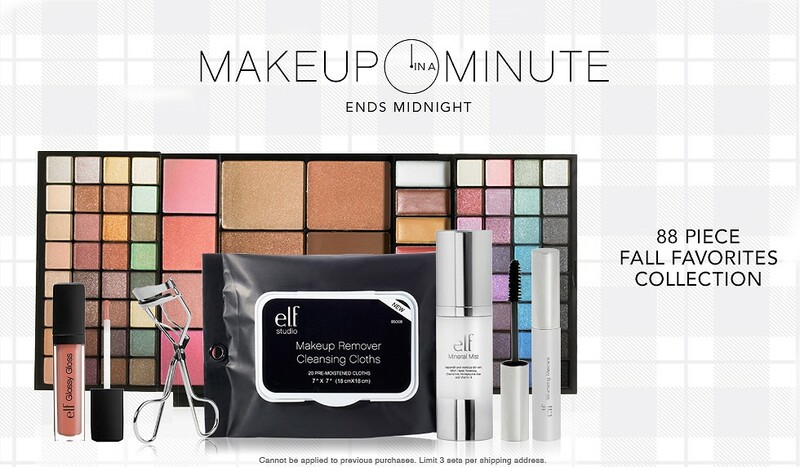 If you are looking to restock your makeup collection for the fall then you are going to want to check out this deal at Eyes Lips Face. You can pick up an 88 piece Fall Favorite collection for just $20. Compared to department store brands this would cost you $300. Studio 83 Piece Essential Makeup Collection in Black, Mineral Revitalizing Mist, Studio Makeup Remover Cleansing Cloths, Studio Glossy Gloss in Sweet Salmon, Studio Eyelash Curler, and Essential Volumizing Mascara in Black.